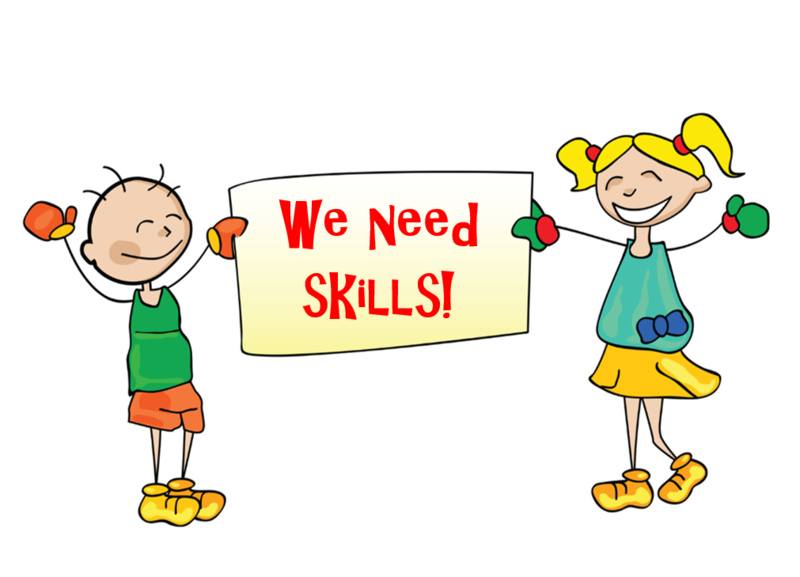 A skill is the ability, coming from one’s knowledge, practice, and/or aptitude to do something well. The importance of skills is being stressed more today than ever because the world is becoming more technologically advanced every day. All parents hope their children gain appropriate skills as they progress through their education; but, gaining knowledge and learning skills are not necessarily the same thing. Mikhail Zinshteyn (@mzinshteyn), a program manager at the Education Writers Association, explains, “Young American workers today are more educated than ever before, but the nation’s largest generation is losing its edge against the least and most educated of other countries, according to a provocative new report. The report’s authors warn these findings portend a growing gap between rich and poor American workers and that the lackluster results threaten U.S. competitiveness in an increasingly globalized market. The report, produced by testing giant ETS, analyzes data collected by the Program for the International Assessment of Adult Competencies (PIAAC). The assessment measures the literacy and arithmetic skills of workers ages 16 through 65 in the U.S. and in other wealthy countries.” Since a skill is the application of knowledge, a project-based STEM education can help students translate knowledge into skills. That’s one of the reasons I, along with a few colleagues, founded The Project for STEM Competitiveness — to help students make the connection between knowledge and skills. Mikhail Zinshteyn, “The Skills Gap: America’s Young Workers Are Lagging Behind,” The Atlantic, 17 February 2015. Anne Fisher, “American Millennials are among the world’s least skilled,” Fortune, 10 March 2015. Tom Vander Ark, “K-12 Milestones: What Should Students Know and Be Able to Do and When?” Getting Smart, 10 June 2016. Anthony Salcito, “Pam Livingstone,” Daily Edventures, 5 November 2013.